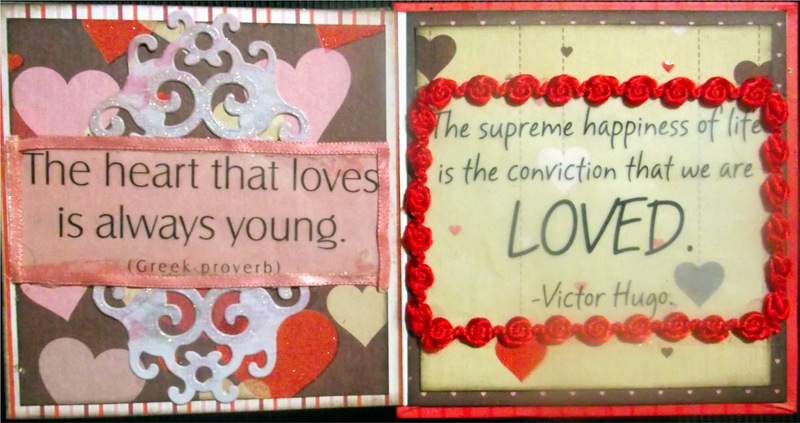 Precious Pages by Paula: HAPPY VALENTINES DAY! 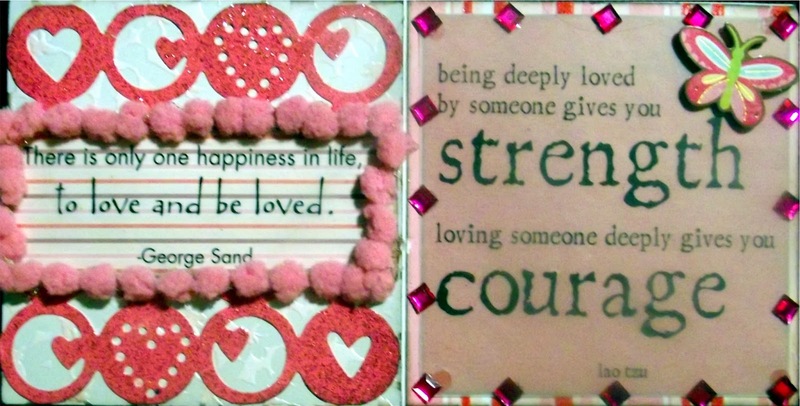 Today is Valentine's Day - the day of love. Last night I finally finished a project for my love. 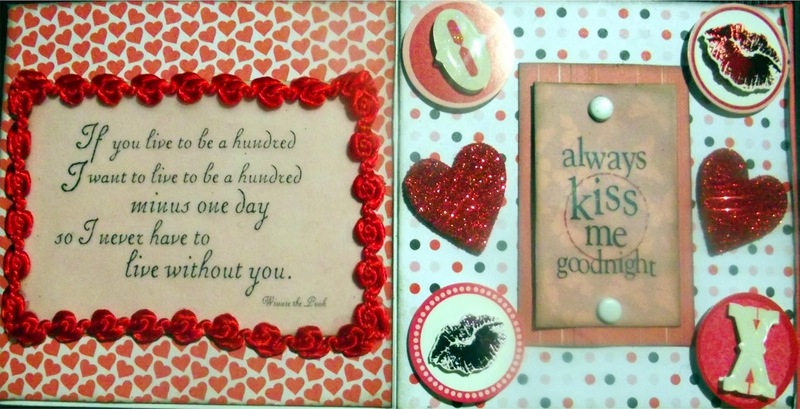 It's a mini-book of love quotes. 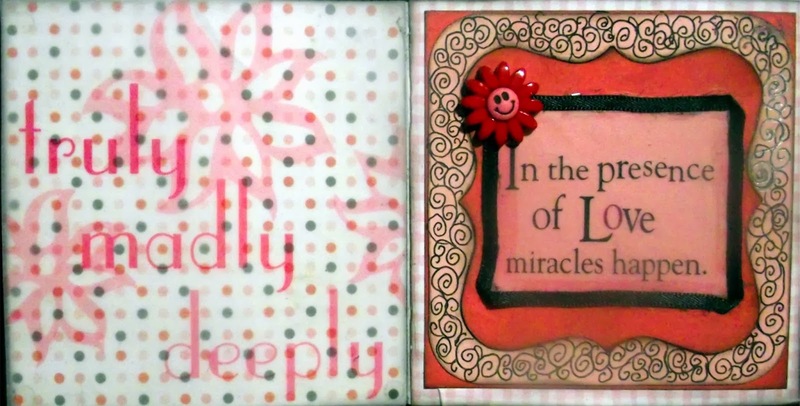 I created it for my February 15 Design Team challenge project at Colorful Creations new challenge blog. The challenge was to be inspired by 'LOVE'. I hope you enjoyed this fun little project. (and I sure hope that Michael will like it even more!) I know I struggled with it...I find it much easier to work in a large size like 12x12 than a small one like this 4x4. I did enjoy all the different touches I was able to use though - ribbon, fun trims, stickers, rhinestones, die cuts, punches, washi tape, buttons and more, oh and the SEI With All My Heart collection. 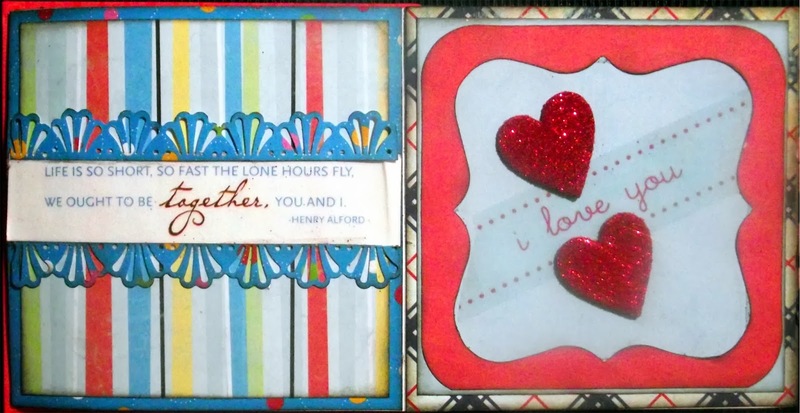 I am also entering this project in the SEI Lifestyle Blogspot Rustic Valentine challenge, Fussy and Fancy Friday Be My Valentine challenge #107, and Word Art Wednesday #119 Anything Goes. Hope that your Valentine's Day has been awesome! Stop back again over the weekend as I hope to have more inspiration for you. What a wonderful celebration of LOVE. 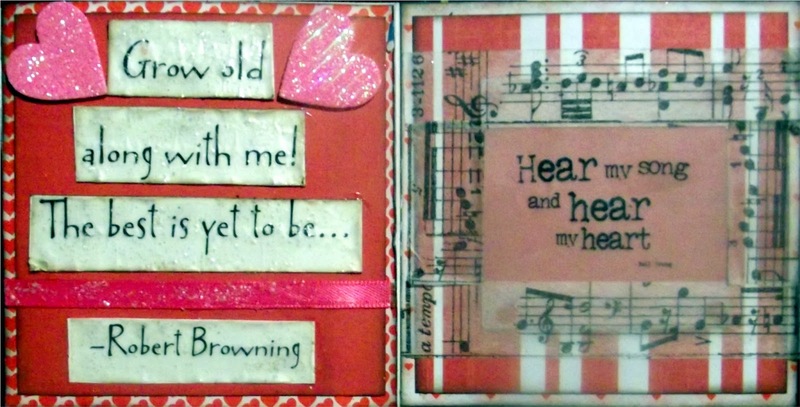 One of my favorites of all time was "Grow Old Along With Me".....and all the lyrics to that Van Morrison song, LOVE IT! Thanks for sharing with us in our challenge this week. Paula this is soooo "FROM THE HEART"!!! Wonderful creation...and I'm sure that Michael LOVED it!!! 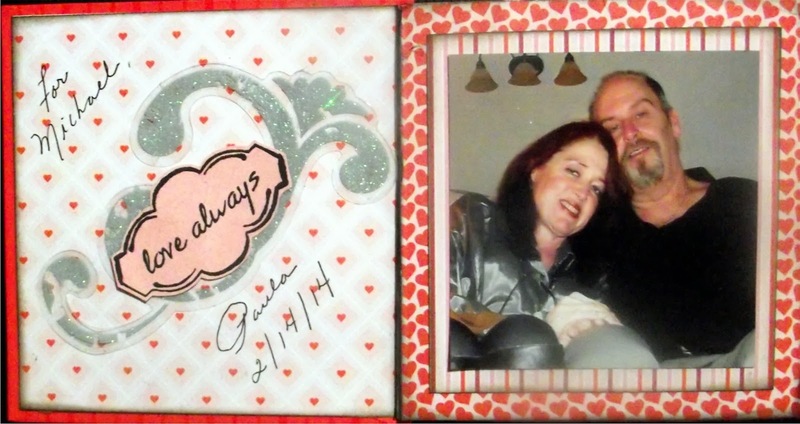 Thank you for sharing with us at Fussy and Fancy "Be My Valentine"!!! Hope to see you again!! 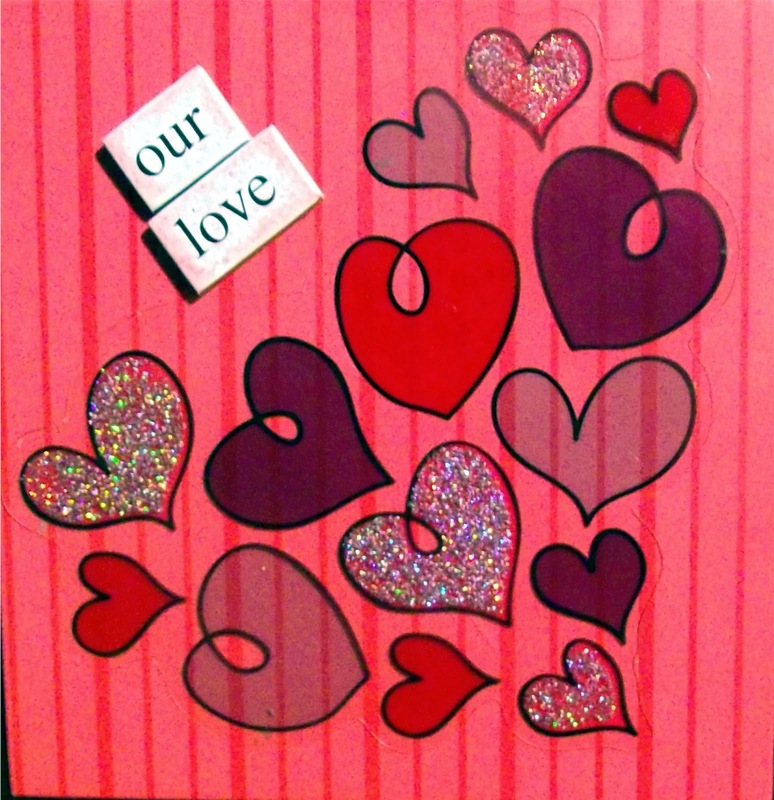 Oh wow, you've been busy decorating every page of this mini love book. I am sure the recipient adore this. So blessed you joined us at last week's Challenge at Word Art Wednesday. Our new Challenge is now live and we'd love for you to join us again. Can't wait to see what you link up this time. Leaving you with the inspiration of God's Word in Psalm 30:5, "For His anger endureth but a moment, and in His favor is life; weeping may endure for a night, but joy cometh in the morning."